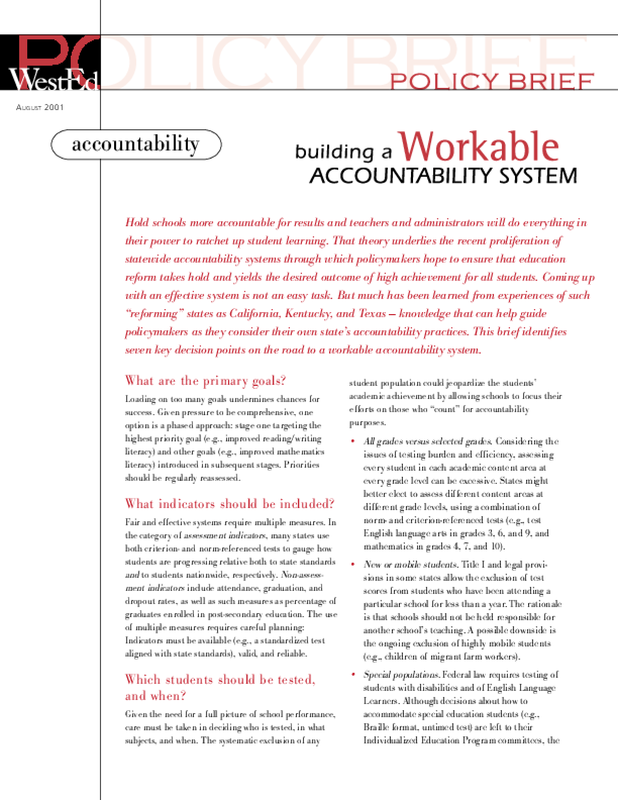 This Policy Brief identifies and annotates seven key questions that must be carefully addressed in developing or refining a statewide education accountability system:?What are its primary goals? What indicators should be included? Which students should be tested, and when? What accountability model best serves the purpose? what consequences can the system support? How can intended and unintended consequences be evaluated?